Solomon D. Trujillo is Chief Executive Officer and a director of Telstra Corporation Limited, a telecommunications company, positions he has held since July 2005. From February 2003 to March 2004, he served as Chief Executive Officer of Orange S.A., a telecommunications company. 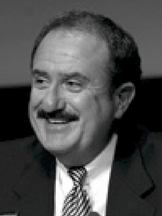 Solomon D. (“Sol”) Trujillo is an international business executive with three decades’ experience as CEO of large market cap global companies in the US, the EU, and Asia-PAC, including US West (now CenturyLink), Orange (now France Telecom) and Telstra, the Australian communications company. A digital pioneer operating in the telecommunications, technology, and media space, Sol has been a long-time champion of high-speed broadband and a pioneer and innovator of smart phone and the mobile Internet to stimulate productivity and innovation across all sectors of the economy. He has managed operations in more than 25 countries – including developed and emerging markets from the EU and North America to China, South Asia, Africa and the Middle East. Sol currently sits on corporate boards in the US, EU, and China – including in the US, Western Union and ProAmerica Bank; WPP plc in the EU; and in Asia, Silk Road Technologies in China, where he is board chairman. Sol has previously served on the boards of Target, Bank of America, PepsiCo, EDS, Orange, Telstra, and Gannett, the newspaper chain that includes USA Today. In the public sector, Mr. Trujillo served as a trade policy advisor to the Clinton and Bush administrations and remains active on public policy issues related to immigration, trade, productivity, and fiscal affairs. In recognition of his lifetime commitment to workplace diversity, Sol received the Ronald H. Brown Corporate Bridge-Builder Award from President Clinton in 1999. Most recently, Sol received the prestigious National Hispanic Hero Award from the United States Hispanic Leadership Institute (USHLI), in recognition of his distinguished career and extraordinary accomplishments in the telecommunications industry, his advocacy on behalf of Hispanics, and his leadership in and efforts to re-brand the Hispanic community.